Hello! Thanks for making it to the Send Me a Sign pit-stop on the YAmazing Race with MGnificent prizes! Since I’m not the first stop on the Exploding Flamingos, you probably know the drill by now — This is a blog hop featuring a zillionty debut authors. We’re giving away prize packs stuffed with ARCs, gift certificates, and all sorts of swag. If you’ve stumbled on this post and are feeling a little lost — skedaddle over to the Apocalypsie website where you’ll find some helpful directions and links to the beginning. Mia Moore has spent her entire life looking for signs. A sign that she should get serious with her soccer-captain boyfriend. A sign that she’ll get the grades to make it into an Ivy-league school. A sign that the summer before senior year will be the best one ever. But when Mia is diagnosed with an aggressive form of leukemia, the only sign she wants to see is that she will survive cancer. That she will get through a summer of intensive chemo and be able to go back to being the girl she’s always been—top student, part of the A-list crowd, and dating Ryan, the hottest guy at school. And until she’s better—meaning no throwing up, no hospital stays, and definitely no wig—Mia doesn’t want anyone to know she has cancer. She doesn’t want her friends’ pity. And she certainly doesn’t want to start feeling something more than friendship for the one person who does know what she’s going through, her best friend Gyver. 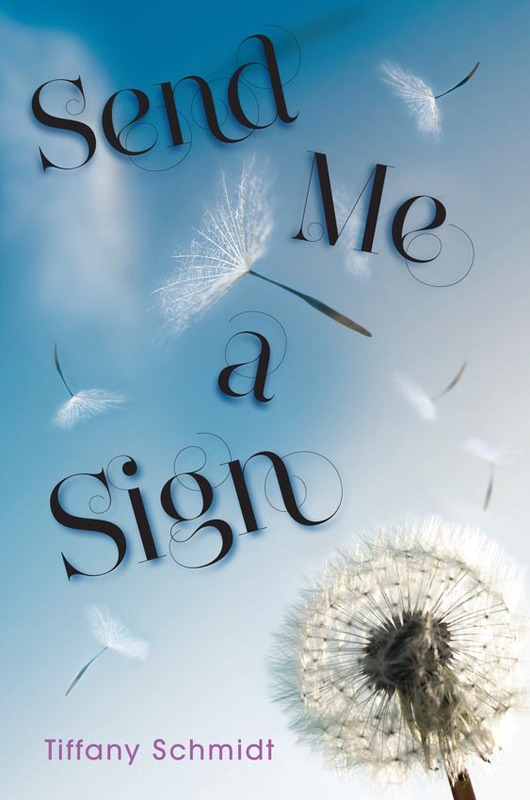 But the sicker Mia gets, the more she realizes that not even the clearest signs offer perfect answers, and in order to find out what happens in her life, she will have to find the courage to live it. I know your brain is packed full from all the YAmazing/MGnificent Exploding Flamingo bookstops you visited before mine — but I hope you paid attention, because you’ll need to know a factoid from the synopsis above to answer the quiz and enter to win the prize packs. Want more chances to win stuff? Since you’re here and everything, I might as well offer you an incentive to stay… or at least come back and visit. Complete the Rafflecopter form below to enter to win a pre-order of Send Me a Sign. As much as I hate for you to leave *sniffle* there’s more YAmazingness in store for you. Click HERE to go visit Ellie Rollins on the next stop on the Exploding Flamingo tour. ALSO — I just announced some book two news — go check it out! You may have noticed that I didn’t give my Best Book Ever on the contest page, but since I made you share yours, it would only be fair if I agonized over my own. You may also notice that almost every single book that appears on my list was mentioned in the comments. That’s because my blog readers have excellent taste. *Yes, I’m a big, teasing, meanie. You all can’t read this until 1/13. But it is FABULOUS. And thank you to everyone who entered and shared their Best Book Ever! Thanks to you, I’ve got some new books added to my TBR.